This Saturday December the 7th local talk show host Judy Mangini will be holding her annual “Operation Cookie Drop Off”. Since 2005 Judy has been baking, collecting and sending cookies to our troop at Christmas to show that they are not forgotten by those they serve and protect. Each year the event grows in the number of locations and the amount of cookies that Judy and her volunteers are able to send. This year they hope to reach 2,000 dozen, which would be up from last year’s 1,800 dozen. Remember, this one is for the troops. Next we have an announcement of an upcoming event for early next year. 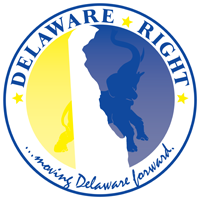 On May 17th of 2014 the Delaware Oath Keepers will be holding an event at Yoder’s Farm near Greenwood, Delaware. This will be the Mid Atlantic Oath Keepers, “Rally In Support of Sheriff Jeff Christopher”. Confirmed guest speakers will include Stewart Rhodes, the Founder of Oath Keepers. Other speakers will be Kris Ann Hall who is a radio personality from Florida and constitutional advocate, along with Michael Peroutka, Founder of, Institute on the Constitution, from Maryland. Sheriff Richard Mack is also a possible guest speaker. The event will also include break away session with experts in Ham Radio, canning, and combat first-aid. More information will be forthcoming in the future about cost and how to make reservations. Finally we here at Delaware Right would like to encourage everyone to remember those who are not as fortunate as we are. Please take the time to drop some change, or more, into the Salvation Army Kettles as we pass on our way into, and out of the malls and stores as we shop this season. It is such a small gesture that can have shop a big impact. There are also other ways to help this season also. This Saturday after you have dropped off your cookies for the Troops, head down to Hockers Supermarket in Millville and donate food for needy families. The event is known as Thanksgiving at Christmas and will be hosted by another local radio personality Jared Morris for Delaware 105.9. They will be broadcasting live, and taking food donations for local families who may not be able to have the type of Christmas dinner that you and the rest of us are able to. So please help where you can. 4 Comments on "Public Service Announcements"
“The troops” don’t need cookies. They need a ticket home, a discharge and a job offer. Delcrat, even if you feel that way, you have to know that it is also important to let the Troops know that they are not forgotten, until they get that ticket home and that job. These are volunteers that have given so much, Judy Mangini and others are simply trying to take the sting out of being away from their families at this season. I know Judy personally and I can tell you she has absolutely no political motivation in this act of kindness. While I understand and agree with delacrat looking at the short and in the long term, I also understand what you and Judy ( who is very sweet) are trying to do.